Directions: From Denver or Boulder take Hwy 93 to the four way intersection of Hwy 93, Eldorado Springs Drive, and Marshall Road (170). The parking area and trailhead is on Marshall Road just east of the intersection. Marshall Mesa is a popular area for hikers, mountain bikers, and families enjoying the outdoors. 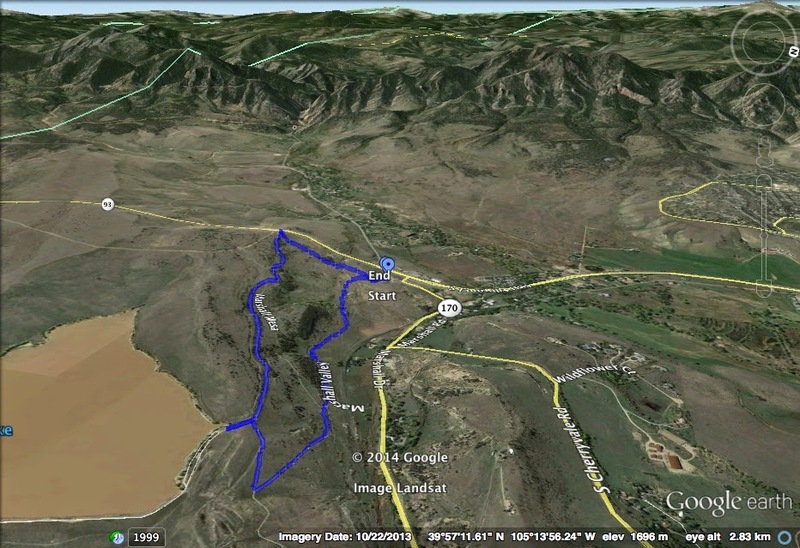 The trails are relatively easy, there are many options for length, and there are nice views of the Boulder Foothills. From the parking area, head east on the Marshall Valley Trail for .8 miles. When you reach the intersection stay straight for another .3 miles as you veer south and climb up towards Marshall Lake. 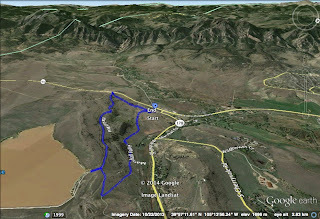 You can also take the Marshall Mesa Trail back to the west, which makes the hike a bit shorter. When you get to the intersection of the Marshall Valley, Cowdrey Draw, and Community Ditch trails, turn right and follow the Community Ditch Trail to the west. You can make a short diversion here for a nice view of Marshall Lake, but you are not allowed to pass the fencing as the lake is off limits. Continue on the Community Ditch Trail for 1 mile to an intersection and bear right staying on the Community Ditch Trail for another .4 miles. The Community Ditch Trail provides nice views to the west and in the spring and early summer the ditch can seem like a peacefully flowing river. When you reach the Coal Seem Trail turn right and descend through rolling terrain and through patches of cottonwood trees back to the Trailhead.